i liked this idea so much last week, that i am going to use it again this week! outside my window...is my front yard. i am definitely staying in here right now because it is over 110 degrees! oh, and i already taxi'd my kids back and forth and back and forth for a couple hours today, so inside is sounding really nice right now. i am thinking... how to establish a good new routine now that school is in full swing. this new schedule with a newborn is going to take some getting used to for me. i am thankful for... sleep. i do not get enough of it these days. from the learning rooms... still crocheting! well, after taking out the hat i started last week 2 times, i think i finally have it looking how i want it to look... though not quite finished. i am excited for how it will turn out. did i mention i want to make a dozen of these for christmas gifts? i am over-ambitious, aren't i? from the kitchen...i am making capellini pomodoro tonight - fresh tomatoes and basil from our 1st garden with fresh parmesan cheese, olive oil, and angel hair. it is one of our summertime favorites around here. i am wearing...shorts! with it being 110 i can't even imagine wearing pants. it makes me feel claustrophobic just thinking about that thick of clothing. i am creating...new schedules. i think i need to write something down so life doesn't feel so overwhelming as it does right now. my old schedule just doesn't work anymore with school, so out with the old and in with the new. i am reading... the Bible all the way through again, cover to cover. i used to read the Bible once a year and am way out of the habit. that means that oftentimes i am not drawn to reading certain books like acts or romans, so they are left untouched for a couple years (gasp!) while other books like psalms, proverbs, the gospels, the books encompassing the life of david, etc are read over and over and over again. i am hoping...to really encounter to Lord in a fresh way by diving into this review of the whole sum of His written Word. i am anticipation fresh revelation and a new hunger for the Word. i am hearing...the whole Bible. yep, you read it correctly - i am going to both read and listen to the whole Bible. both bill and my mom gave us a set of cd's of the Bible read aloud in different versions. i figured to maximize the use of the time i am driving back and forth across town, i would listen to the Bible and probably make it through that way a lot faster than i will reading it. i am already a 3rd of the way through genesis just from driving today, and it wasn't on the whole time. around the house... i am staring at a pile of clean clothes on the couch. it will take some time to get back into a workable routine to keep up around here... and with 6 family members, we have endless laundry. one of my favorite things... is getting comments on my blog posts. anyone who blogs will probably agree that you put time and thought into writing, then press "publish post" and wonder if anyone does in fact read what you put out there for all the world to see. i wonder sometimes what people connect with, what their thoughts and perspectives are on the subject i wrote on, and what they are thinking about in general. i am always excited when i get an email that i have a blog comment. i try to comment back as much as possible. it also reminds me to try to leave comments on blogs i read, though sometimes i don't have a free hand to comment but just free eyes to read. a few plans for the rest of the week: well, first things first is getting through this first week of school. 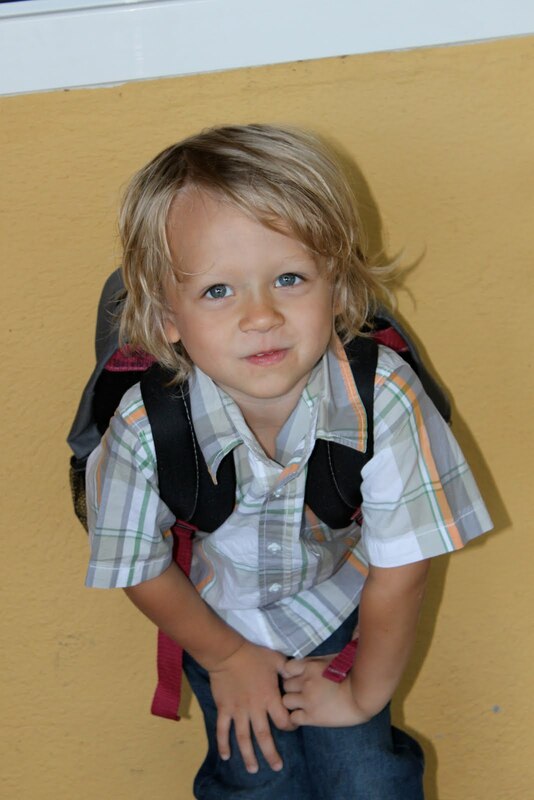 here are a couple pictures of the world's cutest boys on their first days of school. i hope to have the energy to go to another watch prayer meeting this week as well, but we will see. It sure is hot there. I can't believe it was over 100 here yesterday. Our new house is two-story and moving boxes up and down those stairs in this heat was just too much. Can I person lose weight by sweating? I hope you establish a routine that works for you soon. It's hard for me some days, getting the kiddos to school on time and me off to work, then home to tend to my duties there. Your dinner sounds amazing! Your boys are too cute!